We know him now as a legend: Jason Kelce delivered the unforgettable Nobody-Likes-Us-And-We-Don’t-Care speech at the Parade Of Champions following the Eagles’ Super Bowl LII win over New England, and for that he is thrust into the Hall of Immortality in Philadelphia with millions on hand to witness in person and millions more watching on television. But the speech and its lasting impact obscures what Jason Kelce is all about, and that’s a darn fine football player. In fact, here is a vote to go as far as to say that Kelce, the NFL’s first-team All-Pro center, could be the most indispensable player on the Eagles roster. It’s hard to think about that at first glance with so many stars dotting the roster. 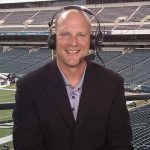 But the Eagles overcame the loss of their franchise quarterback, Carson Wentz, and their future Pro Football Hall of Fame left tackle Jason Peters, and their middle linebacker Jordan Hicks last season and they defied all the odds and won the Supe. Could they overcome Kelce’s loss if he went down? It would be extremely difficult. Kelce was the 191st player selected in the 2011 draft (sixth round) and he’s proven to be one of the best-valued draft picks in the recent history of the franchise. At 295 pounds, he’s undersized by NFL standards, but Kelce makes up for his lack of bulk with tremendous athleticism, technique and intelligence. He’s also got great strength, which enables him to ward off defensive tackles who are 20 to 30 pounds heavier. Kelce makes all of the blocking adjustments, working in tandem with the quarterback. He has to be the eyes and the communicator for the offense. It really all starts with Kelce. And after a couple of so-so seasons during which Kelce was criticized for up-and-down play, he had his best season in 2017 and was a primary reason the offense still thrived even after Peters was lost after seven games with a knee injury, after a shakeup at left guard promoted Stefen Wisniewski over Isaac Seumalo as the starter and after Wentz suffered his season-ending knee injury in Los Angeles in December. 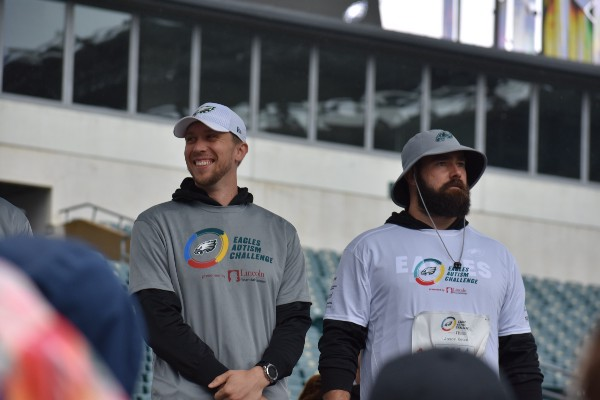 Keeping Kelce healthy is huge for the Eagles’ chances to repeat as Super Bowl champions. Seumalo is the primary backup now, but he’s never played in an NFL game at the position. Wisniewski has started in the league center for five years in Oakland and Jacksonville and could slide over from left guard, but that would mean changing two positions and that’s never good for an offensive line. Kelce has missed games in only two of his seven Eagles seasons. Otherwise, he’s been a 16-game-a-year starter. Let’s hope it stays that way this season. The Eagles need him out there. He’s still a hungry dog, sure, but Kelce is so much more than that: He’s the most indispensable Eagle on the roster and one of the best centers in the NFL.